Pelargonium auritum var. auritum (L.) Willd. Spec. Plant. 3 (1800) 644. Taxonom. Stud. in Pelargonium, sect. Hoarea (Geraniaceae), Ph.D. Thesis, Univ. 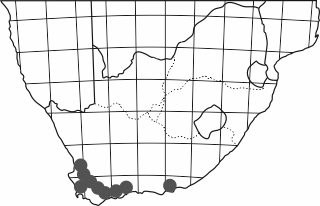 of Stellenbosch, 1994, p. 277. Var. 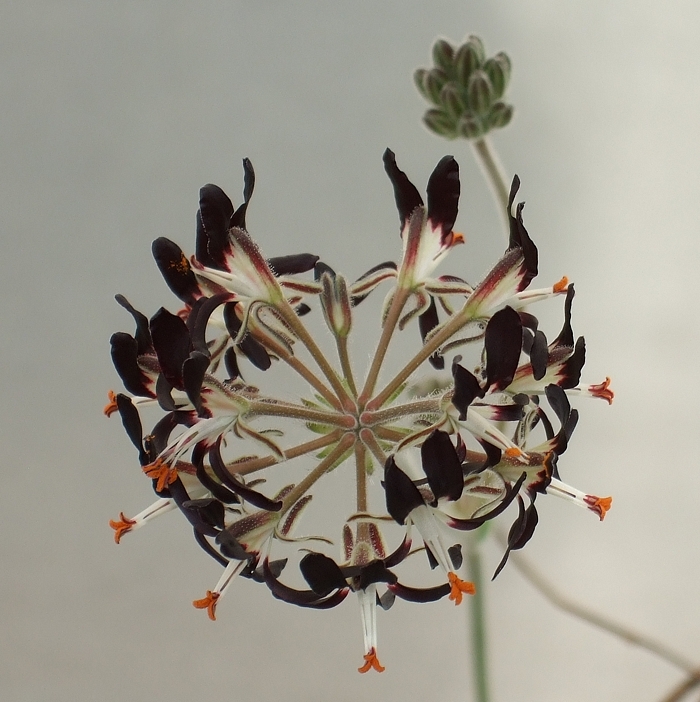 carneum can be distinguished from the type variety by the petal colour and by the absence of glandular hairs on the mericarps. Lamina elliptic to lanceolate, 20-130 mm long, Simple to irregularly deeply pinnatifid to bipinnatisect, hirsute with long appressed hairs. Petiole 1-9 cm long, prostrate to erect, hirsute with long appressed hairs and glandular hairs, stipules 1-3 cm long, adnate to the petiole. 5, lanceolate, posterior erect, others recurved. Hypanthium 8-20 mm, reddish. Ligulate, rounded. 8-17x1.5-3.5 mm. Anterior slightly smaller. Petals dark purple black, undulate margins. 5 fertile, all +/-the same length, anthers red, pollen orange. 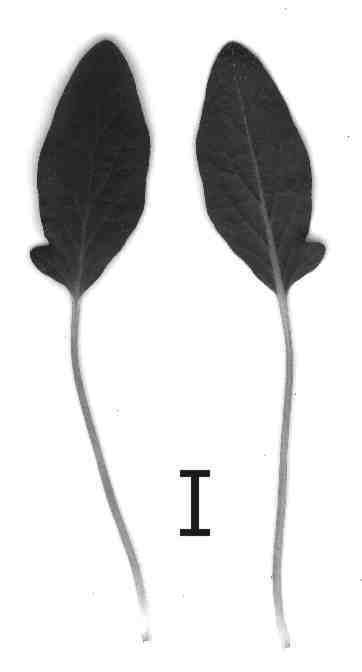 Left: auritum var. auritum, right: auritum var. carneum. 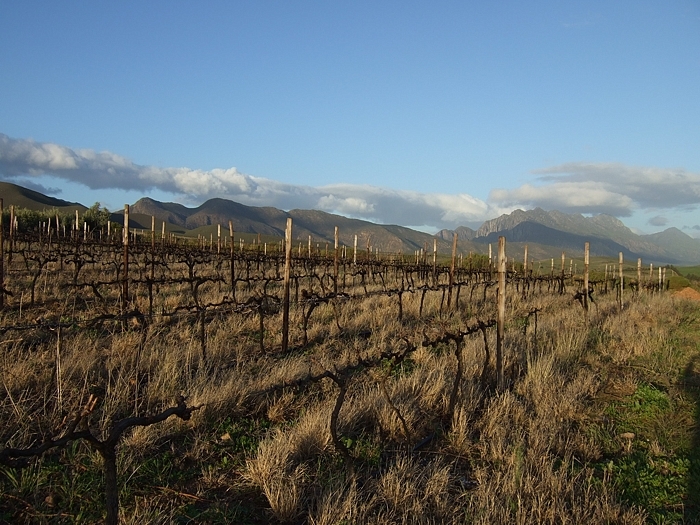 The S slopes of the Langeberg range, just NE of Robertson, are intensively farmed, the vineyards extending from horizon to horizon. 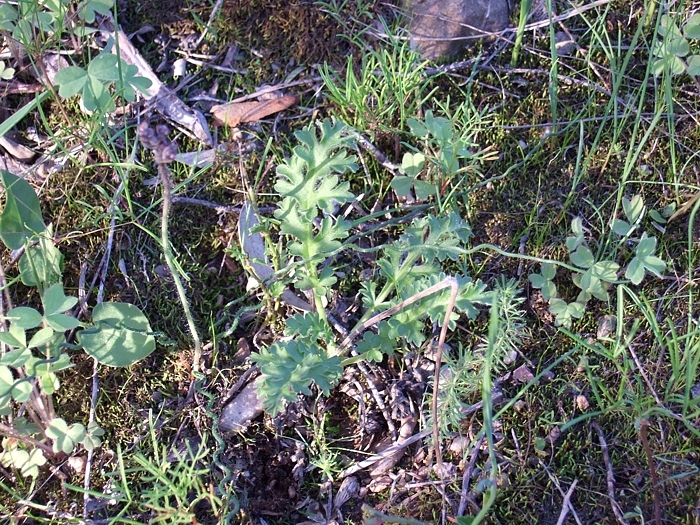 In the patches inbetween, P. auritum var. auritum thrives, its flowers resembling the intensive colour (but not the luxurious aroma) of the local shiraz. 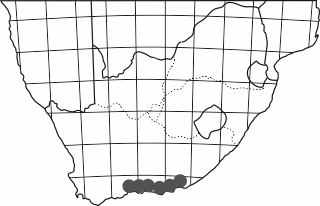 This is a region where a plant trip in the morning must be followed by wine tasting in the evening. 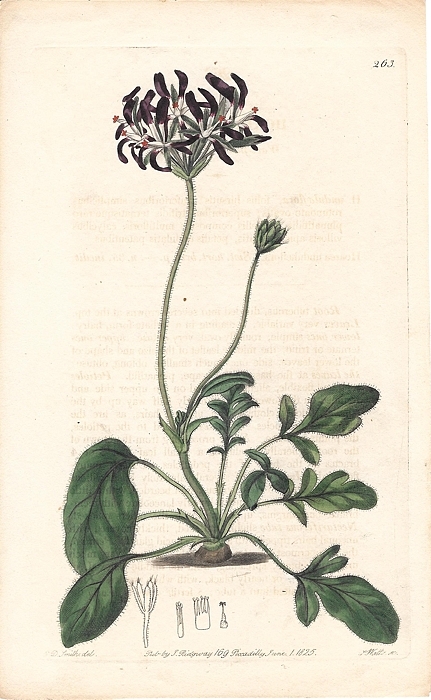 R. Sweet, Geraniaceae: The Natural Order of Gerania, 1825, Tab. 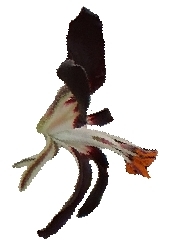 263 (as Hoarea undulaeflora). rhoeadifolium (Eckl. & Zeyh.) Steud. strigosum (Eckl. & Zeyh.) Steud.